Tweak says, "Rationals end, pi is forever." A very nice lady named Rainbow Dash gave me one of her tortoises. People of Valar, meet Michelle Rodriguez. How adorable. That is a fabulous picture. She looks very happy about to tuck into that strawberry. 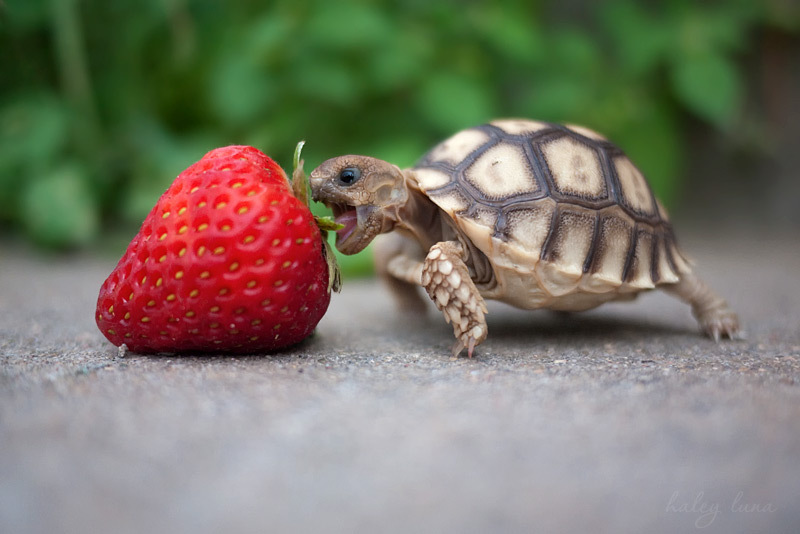 She was pretty vicious with the strawberry, actually. It became less cute and more like a horrible murder. I mean, she...she...she just tore that thing apart. OH MY GOD THAT'S SO CUTE! Oh dear gods, that is the cutest thing I've ever seen.